Bob Kronman has worked in the arts, entertainment and technology industry for nearly 30 years. Starting his career in theatre, he soon developed a passion for visual arts and technology. 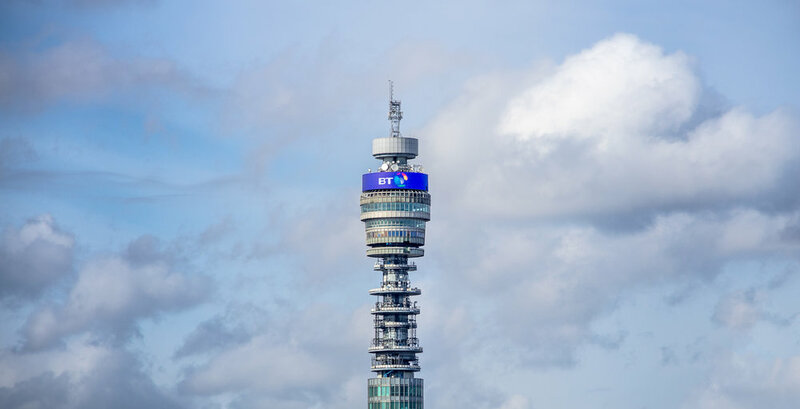 Kronman founded Kronman Associates in 2010 and now runs a consultancy having managed and maintained some of the largest global LED projects worldwide, including projects in Times Square, Piccadilly Circus and at the BT Tower in London. What first appealed to you about working in the world of AV? While I was working in one of my earliest professional jobs in theatre we were using PANI large format slide projectors for a tour of The Nutcracker. The impact of those scenic projections, creating whole environments on stage has always stuck with me. My interest was piqued by how entire scenes could come to life using projected images. When I toured as a technician and production manager I was lucky enough to work with all kinds of lighting and audio visual technology, from moving lights to film and later, video projection. It allowed me to expand my knowledge and understand how best to use AV to highlight and deliver the best events. How did you train to prepare you for your career? I’d always enjoyed working back stage and was fortunate to find opportunities while at university to work in the local theatres in Washington DC. I started out unloading trucks and sweeping stages before being offered chances to hang lights, pull and patch cables and learn how to fly scenery. Every moment I was working on a show was another chance to learn the skills and use technology that was, and still is, constantly developing. I learned a lot from working with companies that let me try out lighting consoles or media servers while on the job and then when opportunities came along to take classes in CAD or networking, I signed up as often as I could. Studying for the AVIXA CTS last year also got my brain working again. My first tour was with a ballet company working on PANI and Kodak slide projectors. Luck followed with work as a stage carpenter, technical director and then as a production manager touring the US for Columbia Artists Management. My second career happened when I moved to London. The fortuity of working as a freelancer with Production Arts on projection jobs led to long term relationships with some of the best people and companies in the industry. Before moving into installed video projects, you worked in live production. How do the industries compare and how easy was it to make the transition? The skills I gained in live production and the experience of making things work on a day to day basis always helped and continue to do so when looking at our projects from design, logistics and operability. AV relies on reliable power and data as well as safe and secure installation whether it’s for one day or 10 years. Stepping from live production into installation required my own focus to move from delivering a show that might last a few hours or days – which I might only be part of for that week – to concentrating on delivering quality, reliability and often an “architectural” finish to an installation that would last for years. That transition was relatively easy as the fundamentals of working with a team and equipment translates when you know how to plan and execute a scheme. Which individual has had the biggest impact on your career? The industry relies on an incredible variety of individuals who are my colleagues, mentors, partners and clients. So many of those have had an impact on my career across projects and professional relationships. Jerry Lewis, the comedian said to me “make sure you let me know about a problem before it happens and it won’t be a problem”. This is a good way to prepare for and deliver projects. Scott Burges from Creative Technology, who I’ve worked for and with for over 20 years, has been a great colleague and friend. His knowledge, experience and support for the people around him led him to suggest I work on We Will Rock You in the West End which led to my work with the Lighthouse LED screens and all the LED work I’ve done since. My wife, Mal is the person who has had the biggest impact on my career. She’s always been supportive of the projects and jobs I’ve taken on in theatre, AV and now with my company, as well as being extremely understanding of the amount of travel that’s required. Keeping up with technology developments is an ongoing effort and essential to maintaining my knowledge and abilities as an independent consultant. We frequently have to prove our credentials when clients are considering using a consultant. Demonstrating our value in a sometimes volatile economy and in competition with sometimes bigger, often less specialised teams, is fundamental to keeping the business going. We like to keep our own team challenged and motivated by taking on a variety of projects so we all get to deliver unique and significant displays. Which technology revolutionised the display industry the most? It must be the ability to create and deliver content over massive display canvases. LED and projection technology have moved from being a ‘nice to have’ for events and advertising to a ‘must-have’ with more uses over bigger expanses and distributions to larger areas. Almost weekly I read about creative, inspiring content being used to deliver virtual environments and create messages that have real impact. The display technology is often leading the creative industry and the content delivery systems, challenging them to keep up. As we’ve moved from lower resolution like VGA to the more recent HD, 2K, 4K and even more, the ability to produce and distribute content to millions of pixels has been a challenge and a driver for the industry.